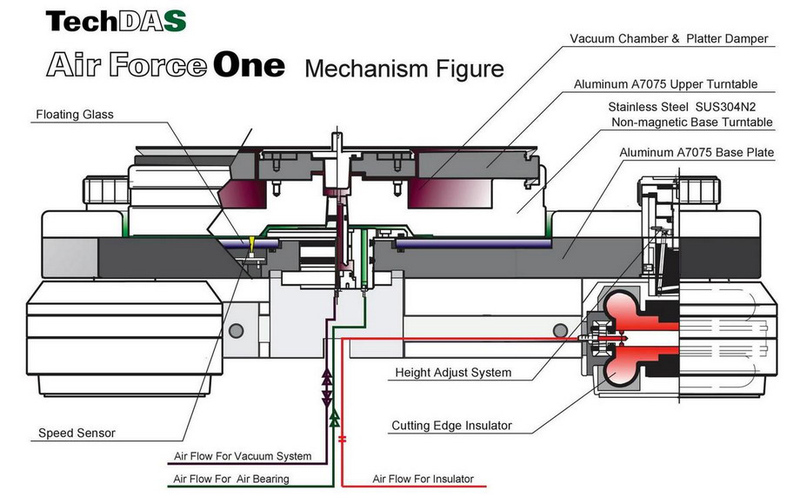 Motor : AC synchronous motor. Rotating speed controlled by DC amplifier. Chassis : Three different material sandwiched structure. 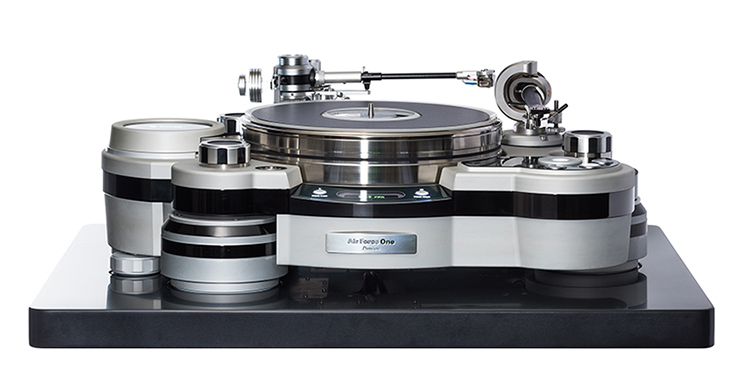 Top-of-the-line model for TechDAS Air Force Turntable series with new integrated concepts and technologies refining the sound, user-friendliness and external finish. Air Force One Premium consists of three units: main unit (including motor), power supply / pump unit and air condenser / air charger unit. 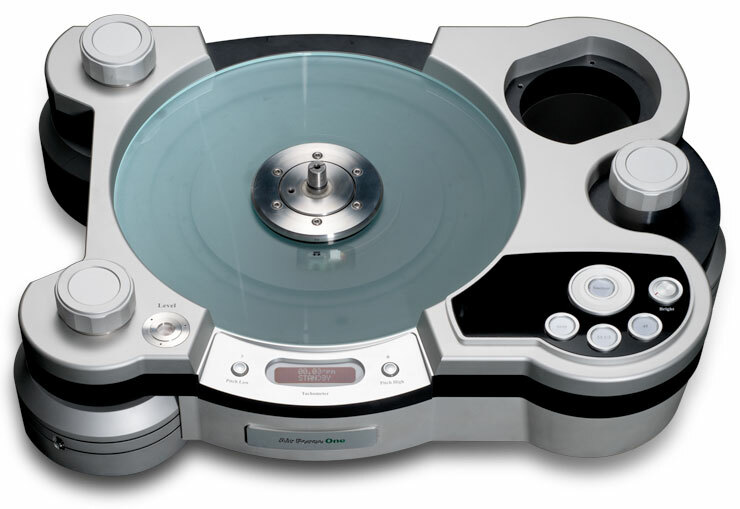 ■ Since its debut, the Air Force One has gained world-wide acclaim as one of the best analog turntables in the world. While the original Air Force One still remains radiant, TechDAS has pursued ways to bring about even higher standards in recent years: improved user friendliness, refinements in acoustics due to an evolution of technology, refined outer aesthetics by using new finishing techniques, and many more. All improvements have been incorporated in the Air Force One Premium. 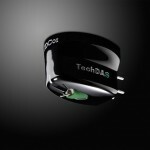 Optimal air suspension adjustment through continuous monitoring of air suspension level and air charger unit. ■ One of the major features of the original Air Force One is full air suspension, which requires occasional air input with the provided manual pump. The Premium features automatic and continuous monitoring of the air suspension level and the color of the indicator will change if air charge is required. 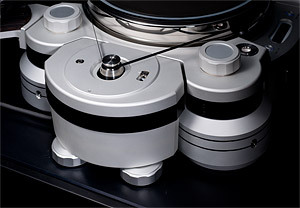 ■ The Premium is also equipped with an exclusive motor pump for air charging. It automatically stops air filling when the appropriate amount of air has been charged, omitting troublesome labor for the user. 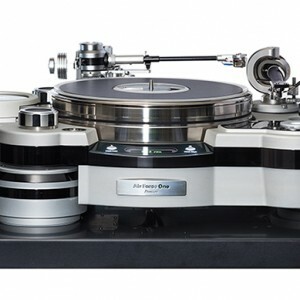 ■ The air condenser serves an important function and achieves consistent air bearing for the platter and vacuum hold-down of an LP. While the air condenser for the original Air Force One has a more than adequate version, as a result of pursuing improved sound quality, TechDAS has discovered that increasing the capacity will produce a more dynamic sound. 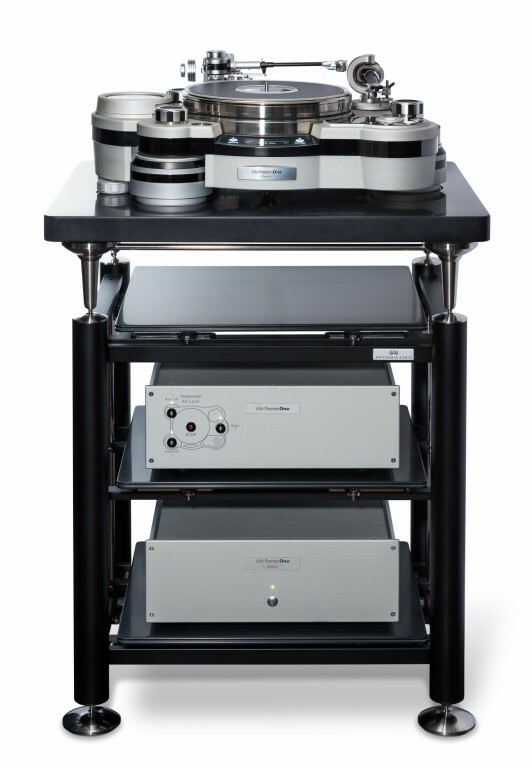 ■ Therefore, the Premium has a double capacitance air condenser over the original model. This has elevated the sound to new heights in every respect including background blackness and dynamics. ■ The main chassis of the Premium employs a gloss finish which is achieved by surface polishing a black layer of aluminum. This deep gloss finish adds to the charm of the appearance. 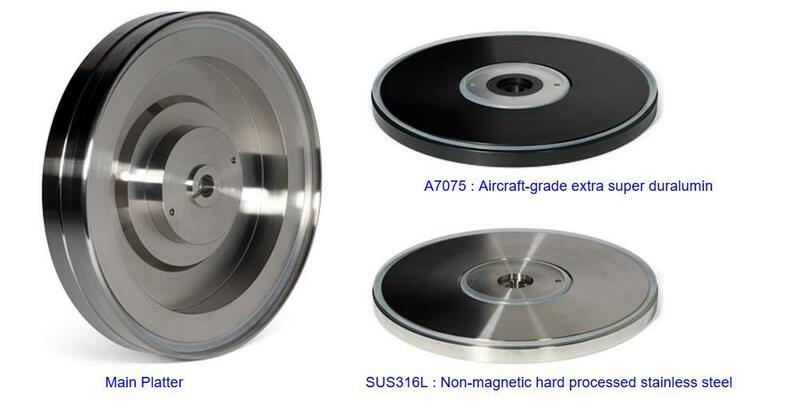 ■ For the upper platter of Premium, there are two options: Super Duralumin A7075 and Titanium. Please specify which option you prefer when ordering. 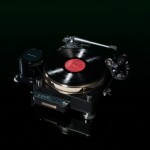 ■ Air Force One Premium features a tapered spindle to absorb any swaying of an off center LP. 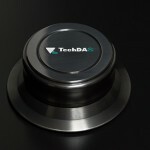 A disc stabilizer comes with the turntable as a standard accessory that will fit perfectly in with the spindle.